A.S.D. Interior is proud to announce the launch of the DIY – Interior design package. 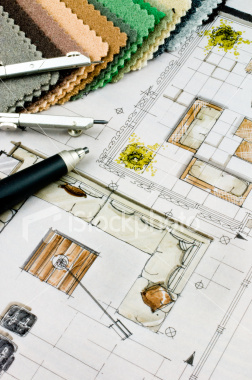 This is an all inclusive package for the DIY person who still wants the help of a professional interior designer. Well it’s simple! You want a beautifully designed space, right? But can’t afford to hire a designer, right? Well A.S.D. Interiors has a solution for you. Here is what you do. Fill out a simple questionnaire, send us a few pictures of the space, and within 2 weeks you will receive a customized design plan for your space emailed directly to you. You get everything you need to implement the design. I even go one step further to make sure everything I recommend is available for purchase online!! It doesn’t matter where you live, you don’t even have to leave your home. Real simple…$250 flat fee per room. That’s it!! When should you spend more money on furniture and accessories? You don’t always need to spend a lot of money on furniture and accessories. I have several theories about when it’s time to spend a few extra bucks and when its time to scale back. It’s a skill I have had for a long time and use in many facets of my life, but I find that it really helps out when I am working with a client who is trying to get a room totally designed on a slim budget. First, I think it’s important to look at the perspective of the space you are trying to fill. What do you really see first and what stands out as the “important” piece in the room? Sometimes I find people get stuck on trying to pick the right end table with the perfect legs, when in actuality the end table is hiding in a small corner of the room. So take an inventory of what you actually will see. This is the piece to spend a few extra dollars looking for it. When shopping for smaller items like accessories, boxes, picture frames and vases etc. don’t feel that you have to splurge on high end items. Take a moment to look at the quality of an item and how it is made. Most people don’t even notice where things come from (or even care) when a room is properly dressed. I recommend hitting stores like IKEA, Target, and CB2 for fabulous little treats to sprinkle around a room. Especially when you mix up the products and resource from different places, it gives the room a look that is more unique and interesting. A note about end tables: Think about it…most of the time they are going to be covered with a flower arrangement, book, or by a guests cocktail or plate. So don’t be so picky about what the top of the table looks like. Instead make sure the legs are sturdy and that it’s light enough to move around the room. One of my favorites is this one from West Elm that you can easily tuck under the base of your sofa and slide it really close to yourself. Great for working on a laptop while on the sofa!! And finally, ARTWORK! Now don’t get me wrong, I am a big advocate for original artwork, photography, and wall sculptures, but not everyone can afford a piece for $7,000 to hang over the fireplace. Sometimes that’s the entire budget for a room!! But here is where you have to be creative. The most important thing to think of is the scale of the wall you are trying to fill. One of my favorite tricks is to buy 8 picture frames of the same size and color and arrange them on the wall in 2 rows. This creates the illusion of one large rectangular piece of art on the wall. You can full the frames with something like different cut sections of a world map or even different samples of fabrics. Both are very low cost art options that make a big impact. So where do you spend the money? Spend it on the main piece of furniture in a room (usually the one you sit on) . The sofa in a living room, mattress for the bedroom and dining chairs for the dining room. These are the furniture pieces that you will be using the most and that you need to really enjoy! 1. Find three, low glass vases. Square or round will do. Make sure one of the vases is larger in size and that the other two are smaller and equal in size. 2. Place the large vase in the center of the table, with the two smaller vases flanking each side. 3. 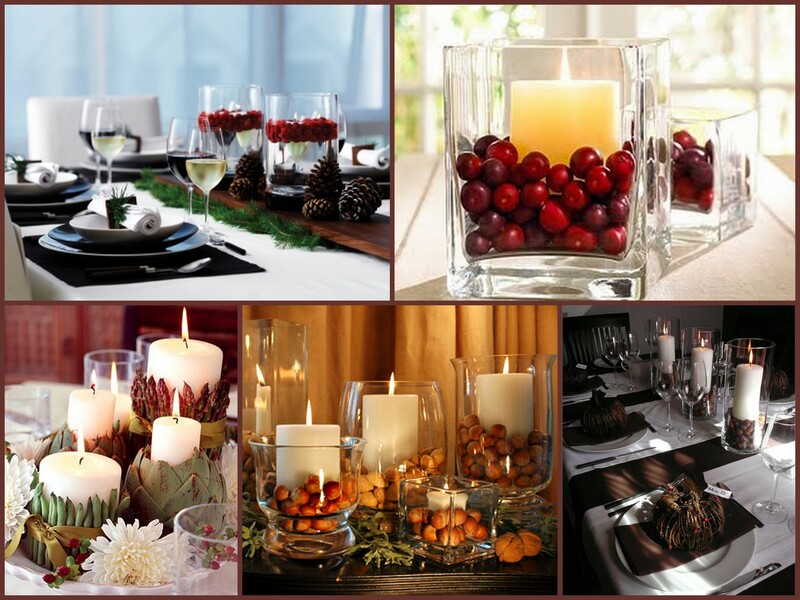 Put a pillar candle in each vase. Try using a burnt orange/red candle for the center vase and two smaller cream pillars for the other two vases. 4. Inside the vases surround the candles with: sand, pea pebbles, river rocks, mini pumpkins, cranberries, dried flowers, or anything else you can think of! 5. Once you are done filling the vases, find a piece of ribbon that is orange/red (or whatever color will highlight your candle and vase inserts) and tie it around the three vases. 6. Congratulations, you now have a beautiful centerpiece! For other inspiration, be sure to take a look at the other clever ideas on this page as well. It is that time of year again! The holidays. 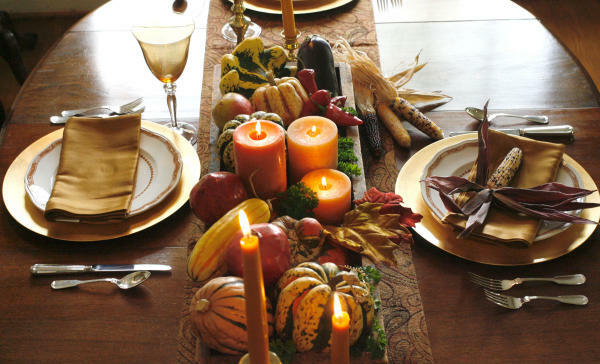 As the year winds down, most people are planning their annual seasonal meals with family and friends. This is also the time of year that people begin wondering: Where is everyone going to sit?? When selecting a dining table, it is very important to consider what its primary function will be. Do you have a large or small family? Do you enjoy entertaining? 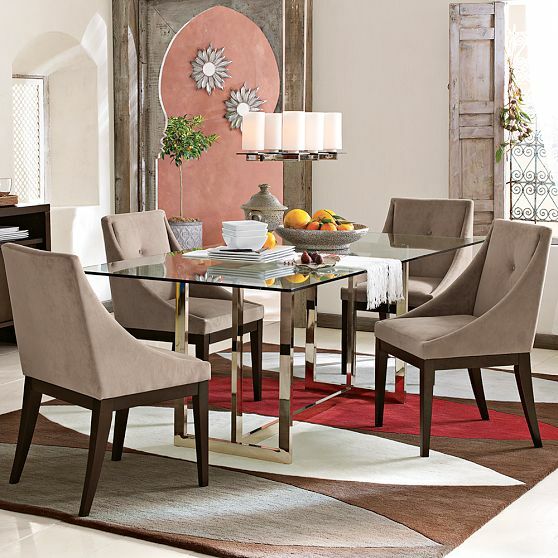 Is your dining table used on a daily basis or only for special occasions? 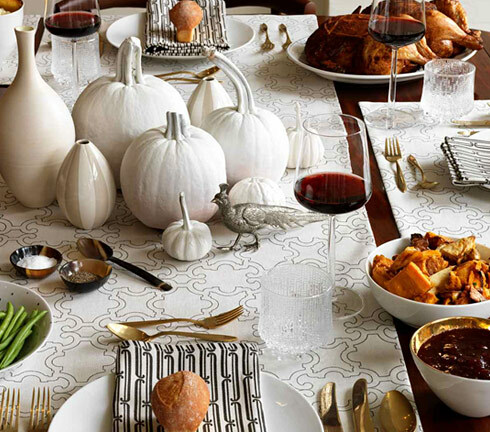 Remember, just because a household of two hosts a large Thanksgiving dinner every year does not mean they need a large, 8+ table year round. Tables come in many shapes and sizes. If you have a smaller family (2-4 people), considering buying a smaller table that comes with an extension. Especially if your home has limited space, this is a great solution. Now you have a proportionately sized table with the option to enlarge if needed. However, if you host frequent dinner parties and space allows it, selecting a larger dining table may be more pratical. As an entertainer, this piece of furniture is most likely a main focus in your home. Do not be afraid to think outside the box and choose an untraditional table as well. There are plenty of options whether it is wood, painted, laquered, stained, has a pedastal base, or a glass top. No matter the style, consider the function of each table’s features. What type of base do you prefer? 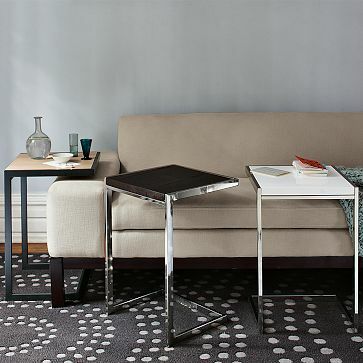 If you like foot and leg room, try selecting a table with a pedestal base. Is your dining room small? 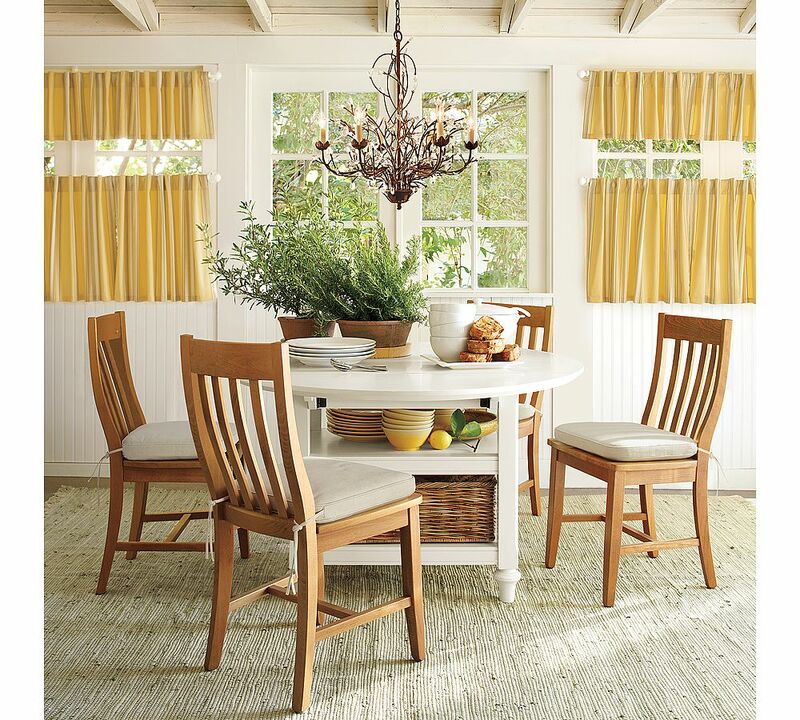 Find a table with a glass top to keep the space light and airy. 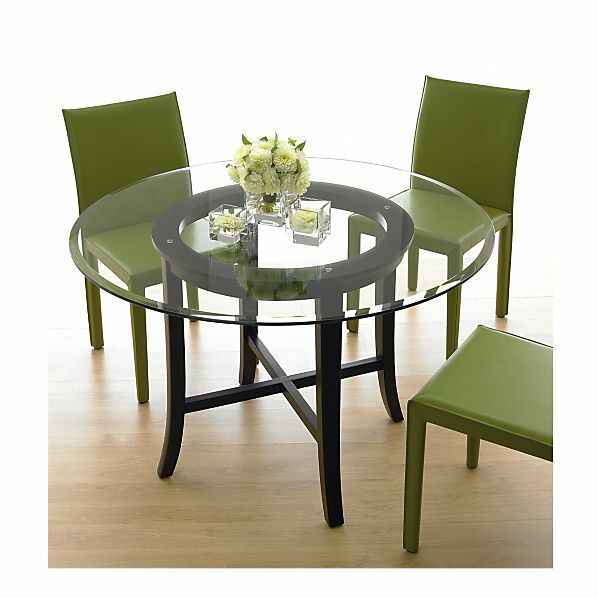 Our favorite dining style is a round table which is not only stylish, but incredibly functional. 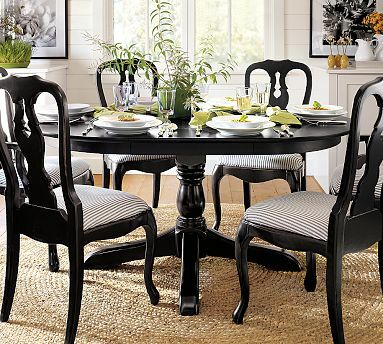 Round tables come in many sizes and often have a drop-leaf option should you need a larger seating area. They are also great for conversation and create an easy traffic flow through the room. We were discussing her home that she recently purchased and all of the new things she will need to be buying. So I threw out a concept to her which I have always followed. I told her that she should try living a “well designed life”. What does that mean exactly? Well, it’s the philosophy that you should surround yourself with the things that you love and that you think are beautiful. That means everything you see, touch, and interact with daily should be attractive to you and should speak to your senses and personality. For example, when you need to purchase items that serve a utilitarian purpose, they don’t need to be unattractive. If you are purchasing plastic storage containers to hold your cereal or store your coffee, why not select containers that you are more attracted to? It doesn’t mean that it costs more, because design is available at every price point. It just means that when you are selecting these small items you should try to be more thoughtful about it. Chances are you will be touching and looking at this object at least once a day, so might as well enjoy it! There are items all over your home that can be more designer friendly like your laundry basket, kitchen utensils, photo storage boxes, personal stationary, travel toiletry bag, and many more. So just try it. Next time you need to purchase something that “just serves a purpose” try picking something that feels like it fulfils you on an aesthetic level as well. Don’t you think it’s nice when something serves a purpose and looks good at the same time? 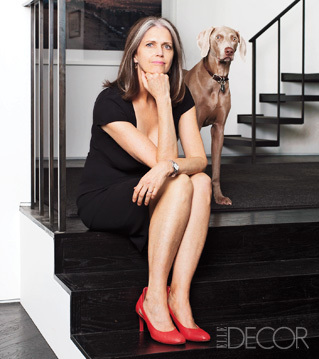 Each year, the November issue of Elle Decor recognizes the top women in the field of design. Ranging from interior designer to clothing designer, each woman was chosen because they have influenced the way we live today. 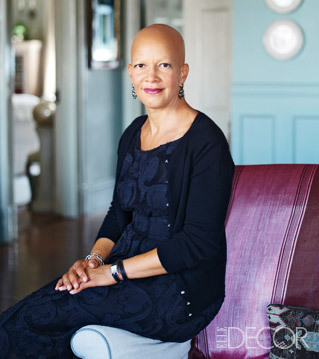 This year’s lucky women include: Diane von Furstenberg (clothing designer), Deborah Berke (architect), Sheila Bridges (interior decorator), Ann Gish (designer of luxury home items), and Victoria Hagan (interior designer). 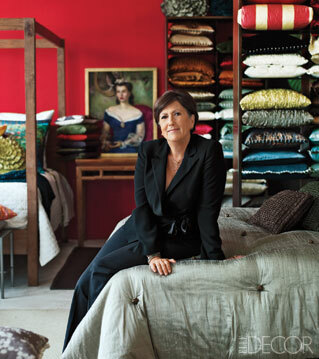 Although varying careers, all five women share common design theories and opinions. Reading each interview, it becomes clear that the design world today is focused on practicality, simplicity, and comfort. Younger generations are also maintaining a strong focus on green materials and incorporating these items into their daily life. Ultimately though, most people today are trying to the find the ideal sense of balance when it comes to design. A few of the featured designers use nature as the perfect example of all parts and pieces working in flawless harmony. No matter what style, the best design will always be one of a balanced union of all pieces of the whole. It is a beautiful desk with a lovely leather insert on the top and beautiful drawer pull. Looks very modern and sophisticated. I purchased it for my client and was very suprised to see it in person. Looks much more expensive than what it really costs.